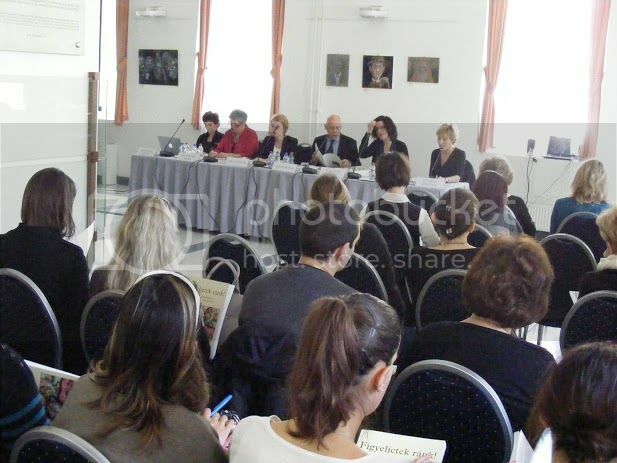 On 21 February 2013, MDAC took part in the launch of the alternative report on the implementation of the UN Convention on the Rights of the Child in Hungary for period 2016 – 2012 and the accompanying publication „Figyeljetek ránk” (Pay attention to us - only in Hungarian) on the situation of the rights of the child. Interviews and focus groups with nearly 3,000 children helped inform the preparation of the report. 41 of them were children with mental disabilities (25 of whom were girls), aged 10-18. Focus groups with children with disabilities took place in special children’s homes, Child Protection Agency, and other educational and social care institutions for children with disabilities in Hungary (4 in Budapest and 2 outside of the capital). The data gathering highlighted how children with intellectual disabilities and children with psycho-social disabilities are not sufficiently supported to develop a voice to express their needs, wishes and wants. At the launch, Dr. Reima Ana Maglajlic, MDAC Research and Monitoring Director, highlighted how children with intellectual disabilities and psycho-social disabilities are one of the most marginalised groups of children in Hungary, as well as in many other countries. “The report highlights there is a lack of data about number of children with intellectual and psycho-social disabilities in Hungary and lack of opportunities for inclusive education, as well as a lack of relevant specialist services. We hope to continue our collaboration with other NGOs in Hungary to ensure these issues are addressed and to support children with intellectual and psycho-social disabilities and their families to have more say in issues that concern their lives”, Dr. Maglajlic said at the launch. With the financial support from The Open Society Foundation and the Embassy of the Kingdom of the Netherlands, the following organisations contributed to the preparation of the report: Család, Gyermek, Ifjúság Egyesület, Diákközéletért Alapítvány, ELTE ÁJK Gyermekjogi kör, GYERE Gyerekesély Közhasznú Egyesület, Gyermekmédia Egyesület, Jogismeret Alapítvány, Magyar Helsinki Bizottság, S.O.S. Gyermekfalu Magyarország, MDAC, Terre des hommes and UNICEF Magyar Bizottság, as well as independent experts Dalma Bíró and Judit Kereki. Ágnes Lux, from the Office of the Commissioner for Fundamental Rights also had a considerable role in the compilation of the alternative report and the report was launched at the Hungarian Office of the Ombudsperson in Budapest.